When it comes to printers, it’s not a surprise that Xerox retains its reputation for reliable and long-lasting models. They are strategically priced to make them affordable so they fit into your budget even with their technologically advanced capabilities. The simplicity allows you to print any job you need without a hassle. We are an authorized retailer of Xerox printers and our team is educated on their features, setup, and all the ins and outs of the equipment. Our employees have a multitude of resources including professional training from Xerox, manuals, and hands-on experience with the brand. We’re proud to send our technicians out for repair services and know that they will get your printer back into operational shape so you can get back to work. Even though Xerox has a reputation for reliability and creating durable products, printers are electronics and can fail, especially after prolonged or heavy use. 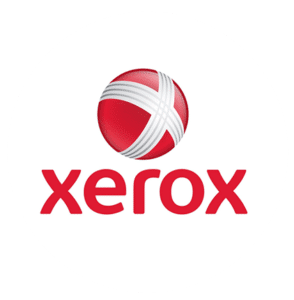 We’ve created connections with other Xerox printer repair Atlanta businesses and services and with others all across the globe. Repairing, instead of replacing, your Xerox printer is better for the environment. Since we focus on repairing devices, Xerox can put their resources and energy into creating new products. Our services include fixing broken machines and/or performing preventative maintenance and upkeep. You might think purchasing a service contract is out of your company’s budget, but we offer a variety of different plans to suit your financial situation. We offer service and support to many different Xerox customers from coast to coast. Parts and labor are not included in the service plans we sell, but we have reasonable and competitive rates for the industry. Repairing your equipment will save you money and time and it’s also a better solution for the environment. We bill each incident separately based on the costs of the repair and parts to remedy the problem. Contact us at 800-537-0669 or solutions@reach-technologies.com now for your Atlanta Xerox Printer Repair & Service.